What is this; who are we; and what is the purpose of Bukovina & Hrastovina? Bukovina & Hrastovina is a multicultural, multimedia and multifunctional web platform developed for effective delivery of promotional and marketing campaigns in virtual world. Bukovina & Hrastovina is developed with the purpose of affecting the citizens’ consciousness of the need to participate in the democratic processes, while providing a platform for articulation of needs and expectations of “ordinary people” from all over the country and beyond. Virtualization allows us to deliver effective messages and establish interactive communications with the world beyond our physical borders and communicate effectively with the new generation of young people from this country which live abroad, via media they are familiar and comfortable with- web 2.0 tools, such as Facebook®, YouTube®, mobile communications, etc. Bukovina & Hrastovina depends on its people (much like the real country). All our members, full-time or volunteers, have years of experience in civic organization, public education, development of public information infrastructure and development of interactive public outreach programs. Complemented by technical experts and enthusiasts, Bukovina & Hrastovina was able to make transition from the realm of typical media, moving into a domain which has no limitations. By successfully integrating standard media techniques and models with true guerilla marketing and techniques, Bukovina & Hrastovina established itself as visionary organization; highly flexible and adaptable to survive and strive even in difficult economic times. This vision had been recognized by the professionals and peers. 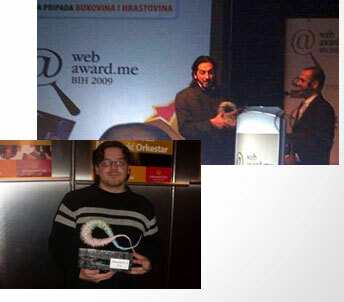 In 2009, Bukovina & Hrastovina’s vision was awarded with the BiH Web Award. So, welcome. Step in to the realm of the virtual Republic of Bukovina & Hrastovina- an animated replica of our unpleasant reality. Basic premise of Citizens Association Bukovina & Hrastovina is that the politics and economics are issues of such significance that those should not be left to politicians and economists. The name of the association implies a new ecologic approach to social, economic and political issues in BiH and considering those through a prism of more inclusive, environmental context. The goal of Bukovina & Hrastovina is promotion of democratic social and political communication in this country. It is our intention to influence the public in BiH to get involved creatively and actively in political issues and discussion by utilizing virtual on-line media, as well as more traditional media outlets. In that way, we attempt to engage population of this country, especially the youth and the work-capable population, regardless of their residence (in country or abroad), to propose new solution to old problems of BiH - economics, politics, social mobility etc. Our target audience and potential members are all BiH citizens- here or abroad. Our activities primarily target “generation X” (persons born in period of 1960-1980) and “generation Y” (persons born in period from 1990, onwards). 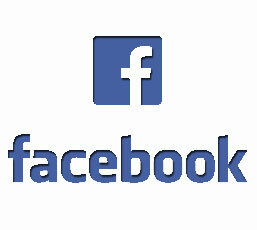 Considering the target population, our activities are based on multimedia, Web 2.0.-based communication platforms. These new communication platforms enable creative channeling of user population energy and enables creation of synergies in development of better solutions to existing economic, political and social problems in BiH. In November of 2009, the president, "the first Woodman - Forester" Dubravko Jeremić, and "the Chief Executive for Forest Digitalization" Armin Duraković, received the reward named THE VISION for the web site, as the best web idea in 2009. Our programs will become even more important in the future period, with new election cycle and (perhaps) with the first census after the war. In parallel with these, the processes of stabilization and accession of BiH into the EU and portfolio of activities aimed at fulfilment of the UN’s Millennium Development Goals are ongoing. Our work complements the fulfilment of BiH goals as our association provides a multimedia platform support to all actors in social and political communication to ask questions and develop answers to complex challenges this country faces. In the first phase of implementation, the web portal was developed, where caricatures, inspired by our reality, depict via comic book form a reality of BiH. In the second phase, we intend to develop an online reality game “High reps.” Based on the “Big Brother” concept, the game actors are BiH politicians, while the big brother role is filled by players- the citizens- who can give tasks to characters, kick them out of the virtual house, and in general do to virtual politicians what the real ones do to citizens in real life. If the game becomes successful, the animated TV series based on the game will be developed, and broadcasted by one of the domestic TVs. Hence, Bukovina & Hrastovina would evolve into a public opinion meter of sorts. In virtual world, individuals can “hide” behind imaginary characters thus expressing their opinions on particular subject without any filters. This elimination of the fear from repercussions then contributes to openness of social communications. Our desire is to produce an animated serial, 130 episodes, lasting 3 minutes each, that will show present Bosnian political and social situation in our country in a satiric way. WE SEEK OUT MINDS THAT WANT TO CHANGE! Bosnia and Herzegovina in which all its citizens, regardless where they live, actively participate in social and political dialogue. KEY OBJECTIVE: To engage the wider community of young people in the democratic process. OUR JOB IS NOT TO CHANGE MINDS, BUT TO SEEK OUT MINDS THAT WANT TO CHANGE. During the XXII International Book Fair that was held in Skenderija hall in period from 21.04. till 26.04.2010, Association Bukovina and Hrastovina promoted its activities through opening the state consulate. Fair visitors had opportunities to be directly informed about the new virtual state, to see presented caricature drawings, read official state newspaper “Bukovik” and to hear the Bukovina i Hrastovina radio program. As many visitors required, our consulate was authorized to give the Bukovina i Hrastovina citizenship. In the Belgrade Media Center on 22nd of May in 2010, as a part of exhibition “Sarajevo days 2010”, Association Bukovina i Hrastovina opened a state consulate in Serbia. National anthem was performed by the official state Rap artist Hare Metak. 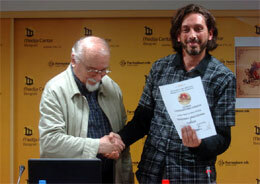 Official agreement was signed with Mr. Predrag Koraksić Corax who represented the Serbian side with his web blog Svrbia. For all visitors our new consulate did the presentation of the new virtual state Bukovina i Hrastovina - its culture, values and its ideas. On Friday, 5th of November in 2010, Sarajevo Deputy Mayor Miroslav Živanović had official audience with the Bukovina i Hrastovina state representatives. It has been agreed that both sides should work together on promoting ideas and undertaking activities that will make life better, more human and happier for all citizens of Sarajevo, Bosnia and virtual state Bukovina and Hrastovina. Offcially accepting citizenship, Miroslav Živanović has confirmed the significance of our state and has promised support from Sarajevo’s city authorities. 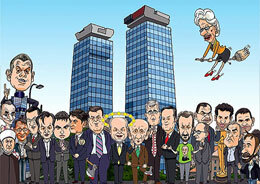 Our political caricatures and short animations, made by well known artist Stiv Cinik from Zagreb, emphasize current political situation in Bosnia and Herzegovina, by gaining attention and popularity. Starting with production of our designed short animated movies have enriched and widened the scope of the Association activities. 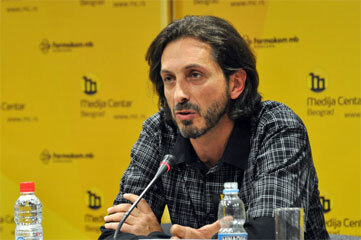 Cooperation, with Stiv Cinik, has resulted in founding the Bukovina i Hrastovina’s national TV station (TVBiH). Soon after founding, TVBiH had more than 20.000 weekly viewers on YouTube channel. Association’s main objective in 2011 is to continue to promote and develop TVBiH and establish it as one of our core activity.